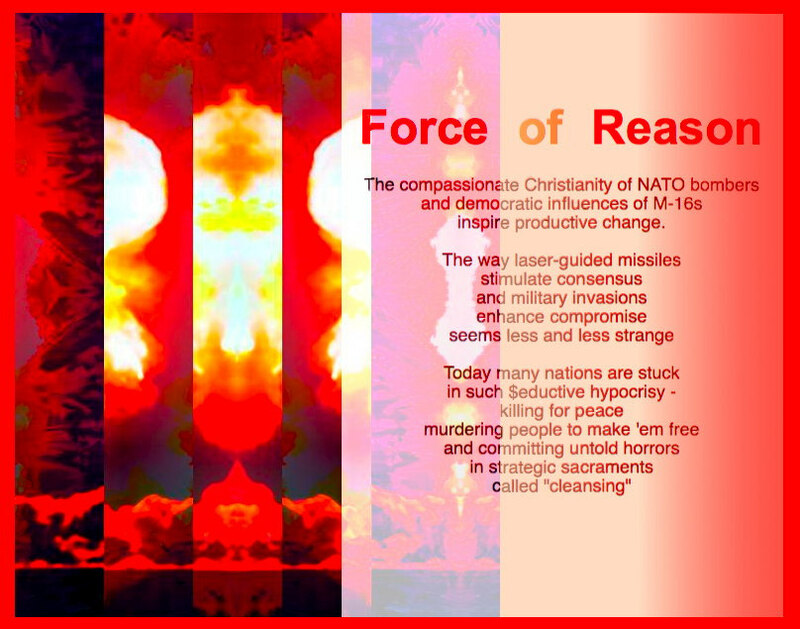 Force of Reason - a graphic poem & dialog by T Newfields BGCOLOR="#FD0002" LINK="#CCCC4C"
Dmiritri: The sins of each nation should not be blamed on their religions. Frida: What else is religion for? Isn't it all about preventing sin and spreading compassion? Dmiritri: Perhaps so, I also believe God reaches out in more ways than we can acknowledge . . . and even satire like this has its value: it reminds us to be cautious about combining 'empire' with 'faith'.